Which are the easiest steps to count cards in Blackjack? You’ve heard the stories. You’ve seen the movie 21. And now you want in. 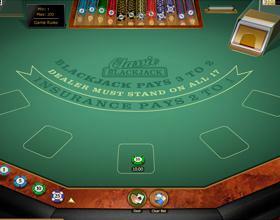 You want to win big playing Blackjack by counting cards. You’re half-decent at math. Counting cards should be a piece of cake, right? Not if you have no idea what you’re doing. Not if you don’t come to the table prepared with a strategy. Today, we’re going to walk you through everything you need to know about counting cards—the easy way. 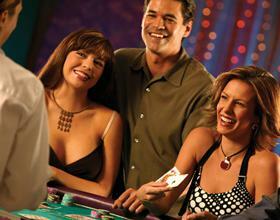 The easiest card counting strategy is called Hi Lo. In a nutshell, each card in the deck is assigned a value. Start at zero. Each time the card hits the felt, you count. So if a 3 hits, you add 1. If a 6 hits, you add 1. If a 7 hits, you do nothing. If a Jack hits, you subtract 1. And so on. As you add and subtract 1, you also need to keep track of how many cards hit the felt. 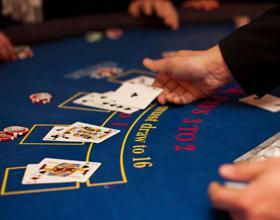 Remember, Blackjack is usually played with six or eight decks of 52 cards. Every time 52 cards are dealt, you know that a full deck of cards is missing. You need to reset your count to get the true count. You do that by dividing your running count by the number of decks left in the shoe. So if your current count is +12 and you now have four decks left, your new count is 3. You then continue adding and subtracting. Still with us? Good. Now, as you count, you’re not just saving the information. You use the count to figure out whether it’s worth betting money on a hand. A higher count means you’re more likely to hit a Blackjack because there are lots of tens, face cards, and Aces in the deck. A lower count means that you’re working with mediocre cards, so bet accordingly. 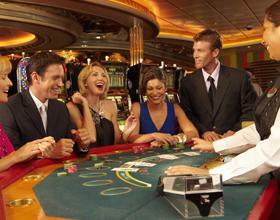 Once you know the card counting strategy, you need to practice it to get good at it. That’s not quite as simple as heading to a casino. Remember, you need to do all the counting in your head. The second you talk out loud at a live casino, you’ll be shown the door (and if 1980s casino movies are any indication, your kneecaps might not leave at the same time as you). That’s why you should practice your strategy at home first. Grab a bunch of cards and count in your head each time the card hits the felt. If you need to count out loud first, that’s OK too. But try to get to the point where everything is happening in your mind. It’s not easy counting cards while dealing to yourself, but you can certainly invite over a friends for a few drinks, food and a good game of Blackjack. It’s hard enough trying to figure out whether to double down or not, let alone add and subtract the number 1. So we recommend employing the help of friends and family. Have them play the dealer while you take the role of the player. This is also quite entertaining and your friends might even learn a thing or two. Practice by teaching and you’ll master the counting cards strategy in no time! The last thing you want to do is take your new found card counting strategy to the Bellagio in Las Vegas. These dealers are trained to spot card counters and you could find yourself in serious trouble. We recommend testing it out at smaller games with people you know or in a place where the type of cheating dealers are looking for people involved in replacing low-value chips with high-value ones. Remember, counting cards isn’t considered cheating. If you use your brain and don’t rely on a computer or counting device, you’re totally allowed to count cards (at least in Vegas). Rather hone your skill online first? Try playing at Palace of Chance. We’ve got loads of free Blackjack games, so create your account and improve your game.